I'm visiting Dundee soon and am on the hunt for some "quirky" and unusual things to see and do. An usual hotel, cafe or restaurant maybe? Shops? Anything that isn't the usual. Any ideas? Hi @FunkyEllas_Travel. I'm not actually based in Dundee, however I've heard that the Jute Museum is fascinating. You can also visit Disovery Point where you can board the RRS Disovery to learn all about Captain Scott's heroic voyage to Antartica! You may find it useful to contact the Dundee VisitScotland Information Centre; they can give you specific local information regarding eateries, shops and other attractions in the city. 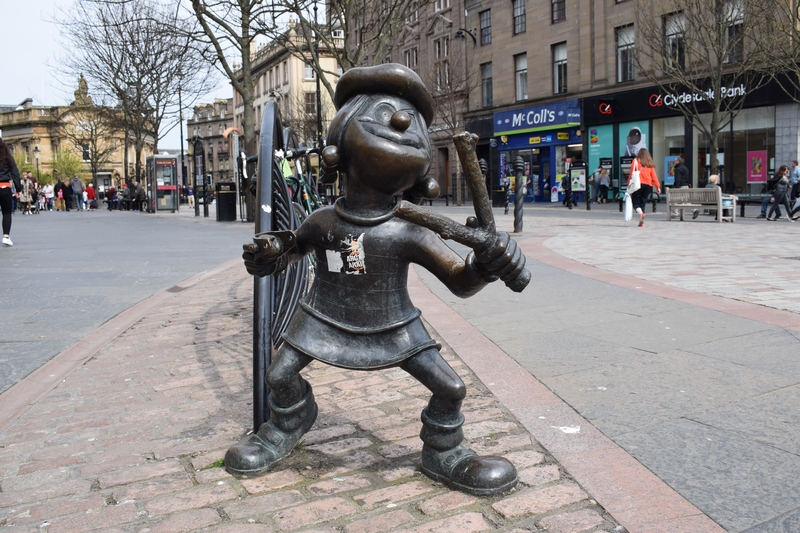 You could go looking for Desperate Dan, Gnasher, Minnie the Minx, Oor Wullie, wee Jeemie the moose (and hunt for PC Murdoch's missing helmet). While you are doing that, the McManus Museum and Gallery has a few quirky things in the natural history section.